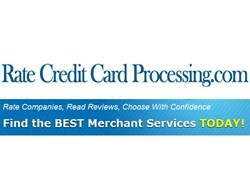 While many credit card processing service review sites award top spots to the companies to top advertisers, Ratecreditcardprocessing.com has updated the rankings for its consumer rating best reviewed list. Ratecreditcardprocessing.com announces a new ranking strategy that bucks industry norms and ranks credit card processors based solely on the customer reviews they receive at the site. A new update to the listings made public has just been released. Mr. Wong said the site rankings at RateCreditCardProcessing.com are being 100% customer review ordered, positions resulting solely from their weighted customer ratings. To further bolster the integrity of its rankings, Ratecreditcardprocessing.com has also announced that it does not accept banner advertising on its website so as to not be unduly influenced by an advertiser relationship. According to the officials of RateCreditCardProcessing.com, the decision not to display ads on the site simply means no merchant account company can pay to have their site rated higher or to remove negative customer reviews. RateCreditCardProcessing.com is the go-to site for 100% user driven reviews and feedback on credit card payment processing companies, allowing consumers to compare services and costs online.